Local market was started positive before falling and then making a decent recovery on average China inflation data to finish mainly flat. Tomorrow is the last day of trading before we go into a four-day long weekend…not sure investors want to leave global markets open to US/Russia/Syria/China/North Korea for that long…expect some profit taking. US volatility index bounced hard overnight…Australia will follow soon…time to be patient in uncertainty. 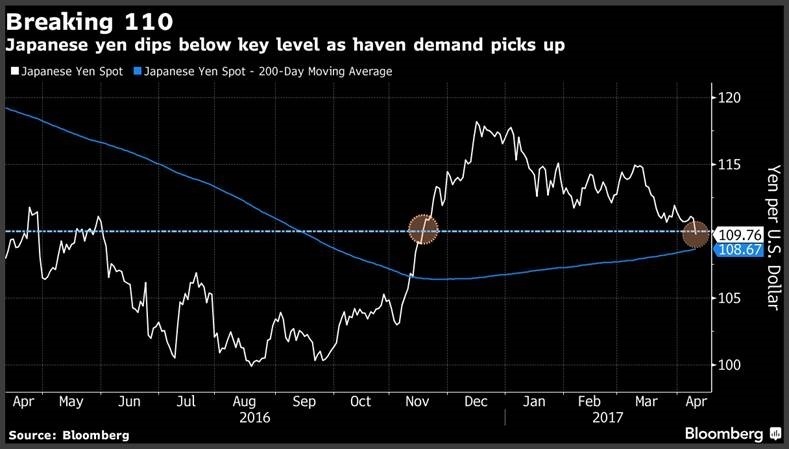 Once again our market was at the mercy of global investors trying to find a market to park more money away from Japan…Yen outperforming meant that Japanese market was down over 1%.